Although they have shown signs of tapering off recently, car sales have been booming over the last few years as consumers upgrade cars that they had been hanging onto when the economy was looking wobbly. One big advantage of buying a new car, of course, is that it comes with a warranty that covers just about everything except tires (which have their own warranty) and window glass. Some manufacturers -- most notably Volkswagen -- have been extending their warranty terms to expand market share. VW says it will provide a six-year, 72,000-mile warranty on its new Atlas SUV and Tiguan Sport Ute. Leasing a new car will even get you free oil changes and other routine service (although you won't own the car at the end of the lease). But like all good things, the warranty period will end eventually, leaving the consumer responsible for repairs. 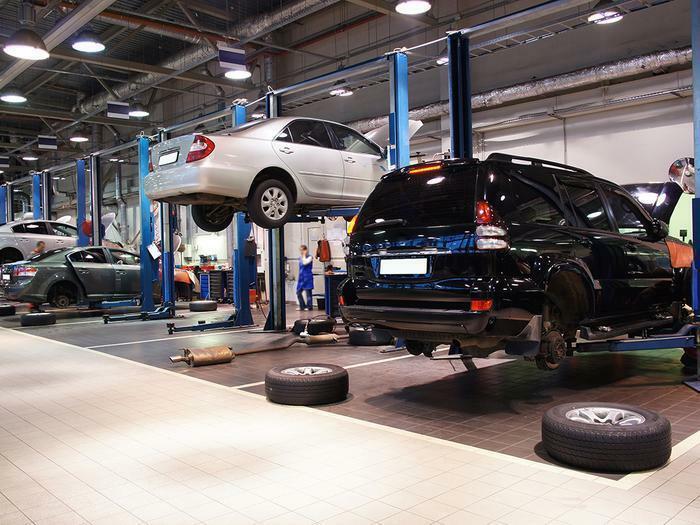 While today's cars are generally lasting longer than ever, they are more complicated than older cars and thus more expensive to work on, potentially setting the consumer up for big bills when things go wrong, as they invariably will. One obvious answer to this is to buy a new car when the old one reaches the end of its warranty, which is fine if you can afford it. A more cost-effective option is to get an extended warranty or a service contract. Though similar, they're not quite the same. An extended warranty is something you can buy at the same time you buy a new car. It kicks in when the manufacturer's warranty expires. Like most things, warranties come in many styles and colors -- everything from bumper-to-bumper to coverage restricted to major power-train problems. Extended warranties are also sold by third parties, some more reliable than others. Many extended warranties are actually sold by brokers, who buy mailing lists of car owners and try to sell them warranty plans provided by others. Not surprisingly, some of those plans are better than others. It's important to shop around, be sure you know what you're buying and see what other consumers have to say about the company you're considering. Used car buyers have even more incentive to look at service plans, since used cars are more likely to experience problems than new ones. While it's sometimes possible to transfer an existing extended warranty, you'll more commonly wind up buying a service contract -- something that's really more like an insurance policy than a warranty. Again, many of these plans are sold by brokers while others are sold by the company that actually runs the program, often called "direct providers." For years, the extended auto warranty business had a bad name, mostly because of unscrupulous brokers who sold plans of dubious (or no) value and also engaged in "phishing" for additional information about their clients and prospects that they then sold to other unscrupulous telemarketers. For some reason, Missouri seemed to be the capital of this particular little corner of the consumer exploitation universe. At one time in 2009, the state attorney general was simultaneously prosecuting four telemarketing companies for bilking consumers. Besides selling plans that were overpriced and close to worthless, some of the worst offenders lied to consumers, falsely telling them their new-car warranty was about to expire and could not be renewed or extended past a bogus deadline. "This extended warranty scam is nothing but a 'bait and switch' scheme that preys on consumers' fears [of] having inadequate vehicle warranty coverage," then-Missouri Attorney General Chris Koster said. "The 'bait' is to lure vulnerable consumers into extending or purchasing 'auto warranties.' Then the 'switch' is to sell them service contracts, or worse, auto additive warranties with inferior or negligible repair coverage, then making it almost impossible for the consumers to cancel the contract or get refunds." Fortunately, through the efforts of Koster and other consumer protection officials, many, though not all, of the bad actors have been driven out of the service contract business. Just last month, a New Jersey dealership was accused in a class action lawsuit of selling fake warranties to used car buyers and pocketing the money. It's still vital, though, for consumers to educate themselves and be careful to buy a warranty or service contract that is appropriate for their situation and that is sold by a reputable company that comes recommended by customers and experts. An "appropriate" contract is one that fits your financial situation, your car, and the use you make of it. It's not worthwhile buying a gold-plated plan if you have a car that is in good condition, if your finances are tight, and if you can take the bus or subway to work if your car's not running. If, on the other hand, you have an older sports car that is very expensive to maintain, have some disposable income, and rely on your car to travel to clients' offices, an appropriate choice might be a higher-tier, more expensive plan. Beyond choosing the right plan, it's important to buy from a company that will be in business tomorrow. Experts recommend looking for a company with $100 million in assets and an "A" rating from A.M. Best Co. Ratings are available on the A.M. Best website. Don't trust your dealer to do the work for you. Many dealers have been burned by companies that talked a good line but weren't around when consumers needed them. Unreasonable coverage limits -- don't buy a $2,000 contract with a coverage limit of $1,400. As in most things, buying from a stranger who calls you out of the blue is not a good idea. All dealers sell extended warranties and service plans, as do many credit unions and auto clubs. Fortunately, unlike the days when Attorney General Koster was racing to keep up with the bad hombres, there are now ample resources online where you can learn about different plans, read consumer and expert reviews, and get quotes directly from the source. A good place to start is the ConsumerAffairs Auto Warranty section, which includes reviews and expert commentary as well as a wizard that will conduct an online interview and help you find a plan that meets your needs.